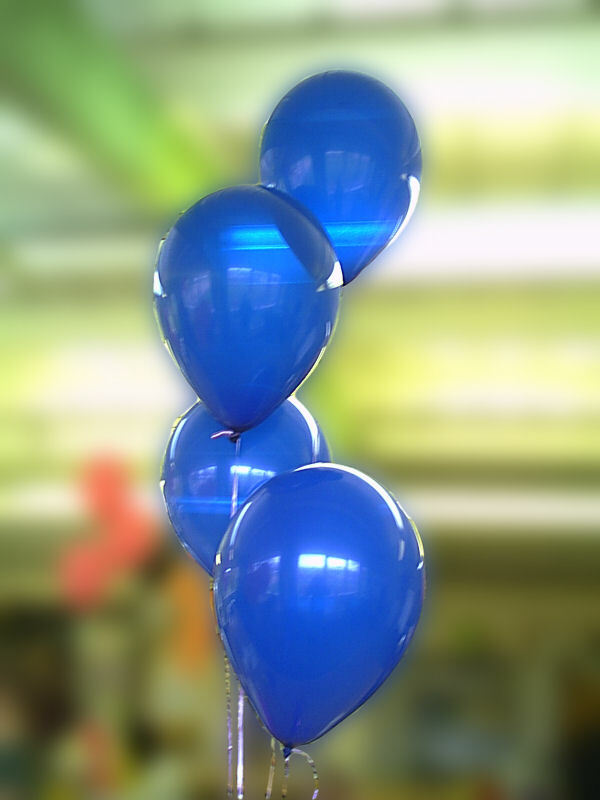 In addition to our specialist latex balloons, we also sell helium filled foil balloons instore and online. 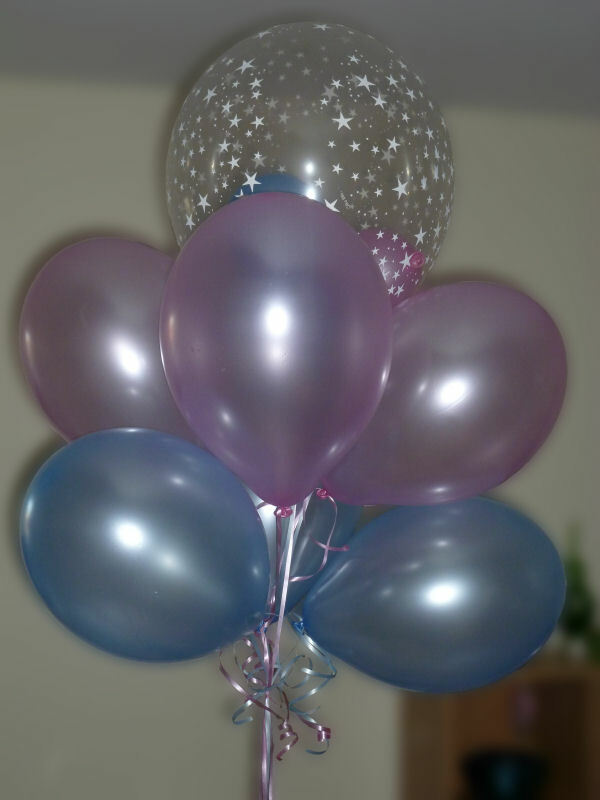 We can source balloons in just about any colour that you can imagine, including pastel shades, metallic and pearlescent styles. Our price list for our most commonly requested designs is below. This is by no means an exhaustive list of what we can do! 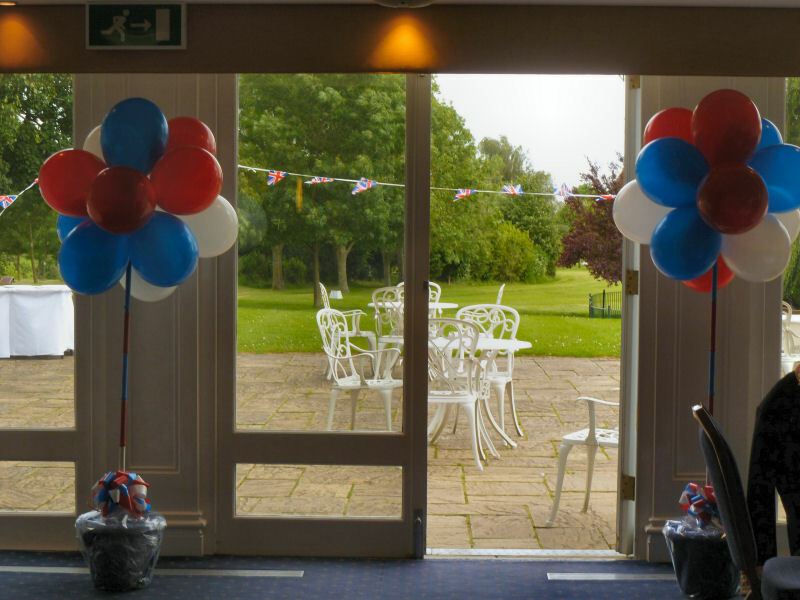 Staggered 3 Bouquet £6.00 Per Set Three latex balloons, staggered at different heights. 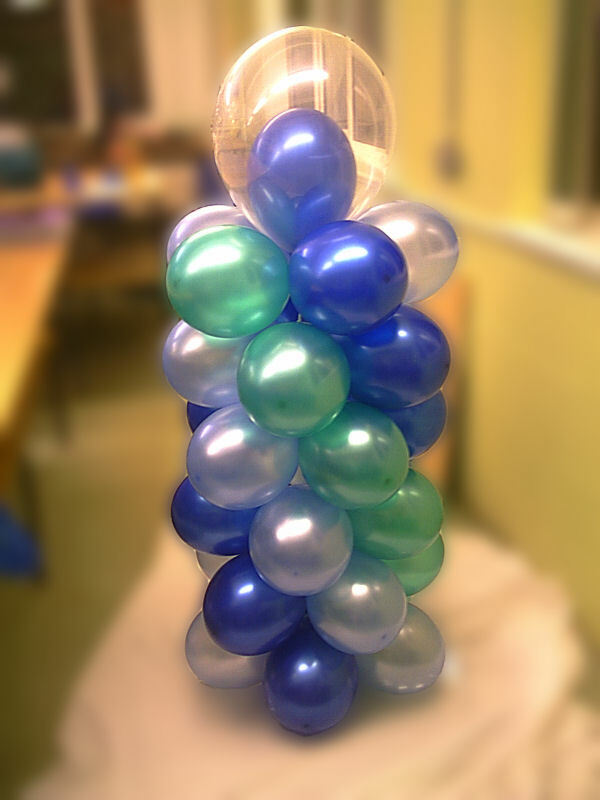 Ideal for table centres at parties and weddings. 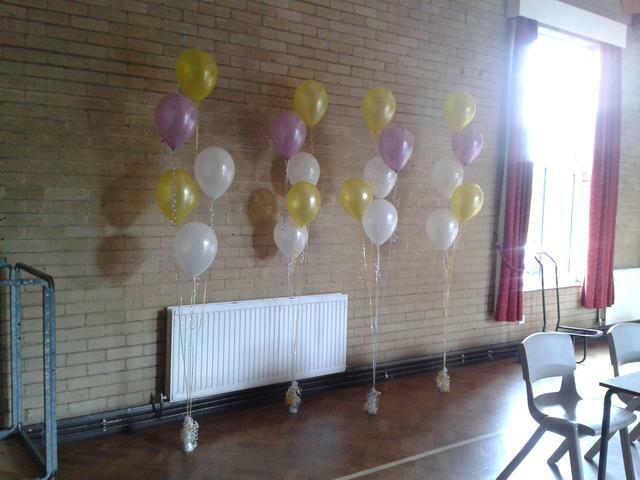 Staggered 4 Bouquet £7.50 Per Set Four latex balloons, staggered at different heights. 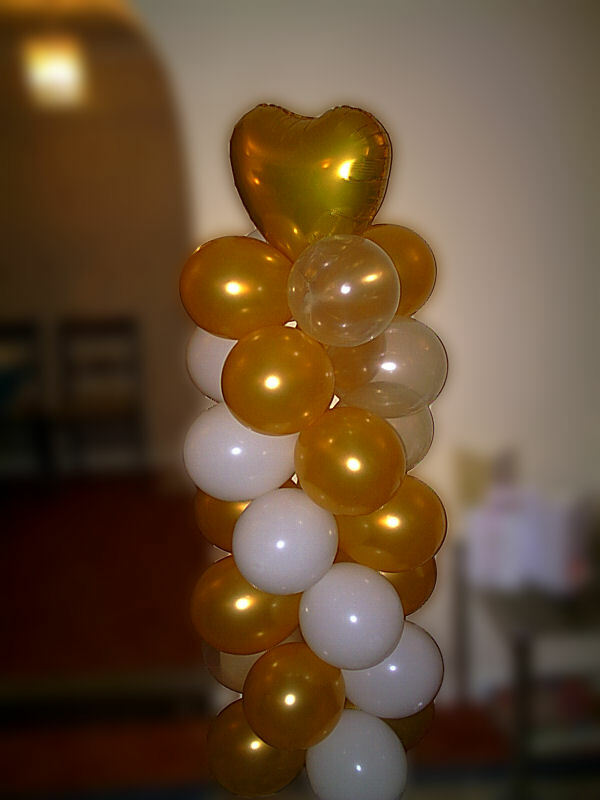 Ideal for table centres at parties and weddings. 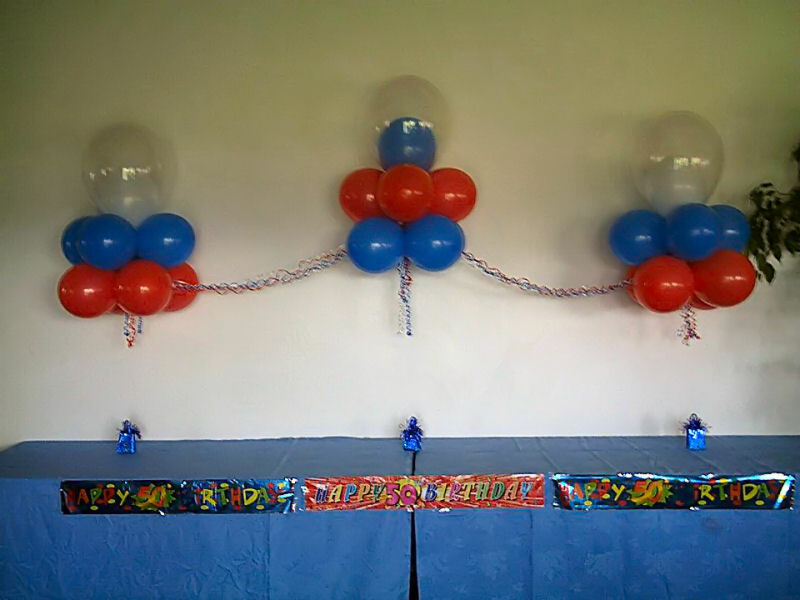 Layered Design From £10.00 The layered design is uniform, with layers of latex balloons sitting upon each other to create the effect. 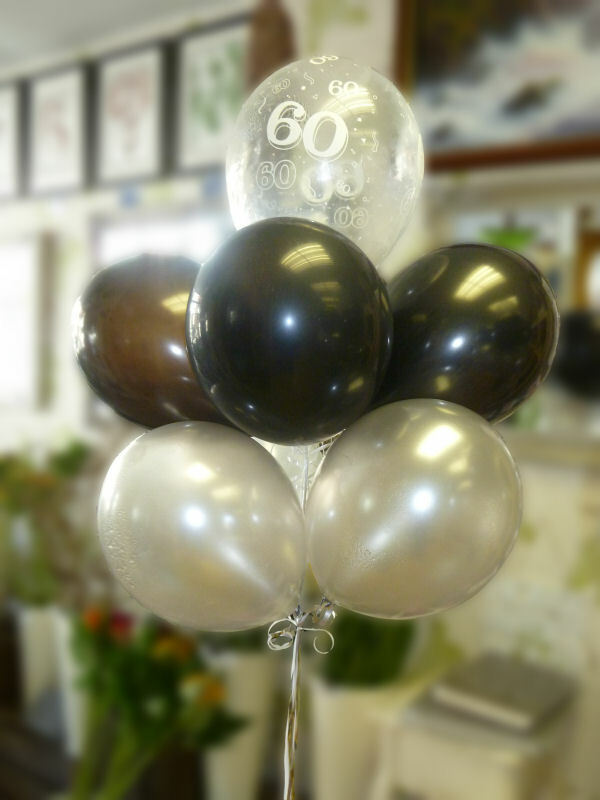 Ideal for table centres at parties and top tables at weddings. They are also ideal for adding colour to the corners of a room. Cloud Nine From £10.00 Similar to the Layered Design, but differs with clear fishing line used to create the effect of a cloud floating. 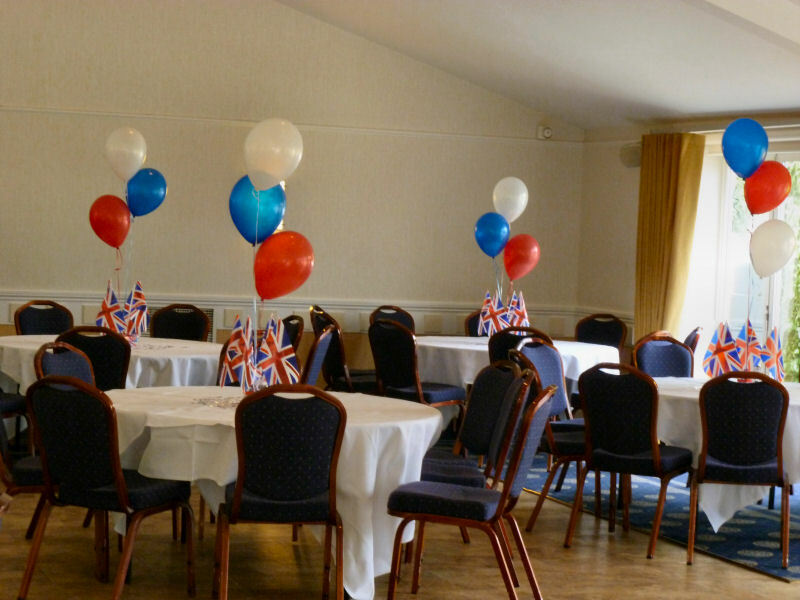 They are ideal either singularly on tables or in groups linked together with organza/toile material. 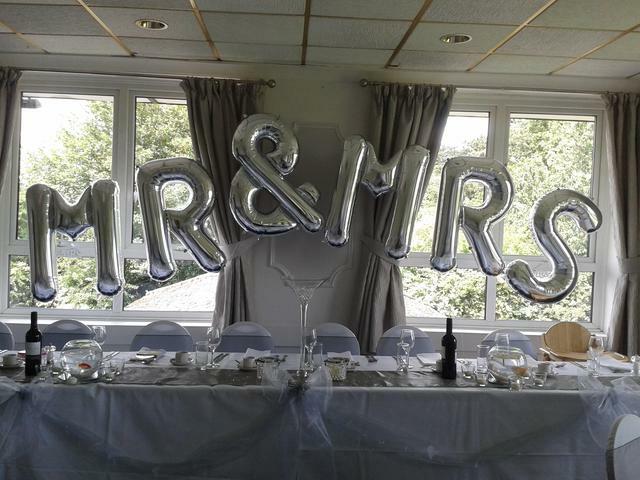 They make a great statement for the top table at a wedding. 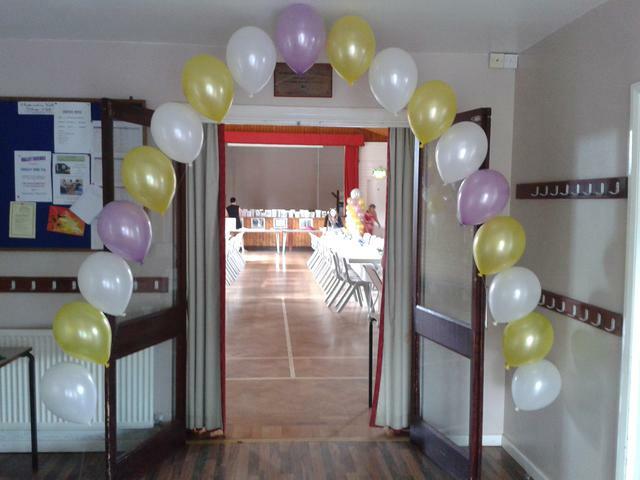 Archway From £20.00 An archway is another great statement piece, floating over or behind a top table, or over a doorway. Note that this design can only be used indoors (fishing line, helium and wind are not a good mixture!). 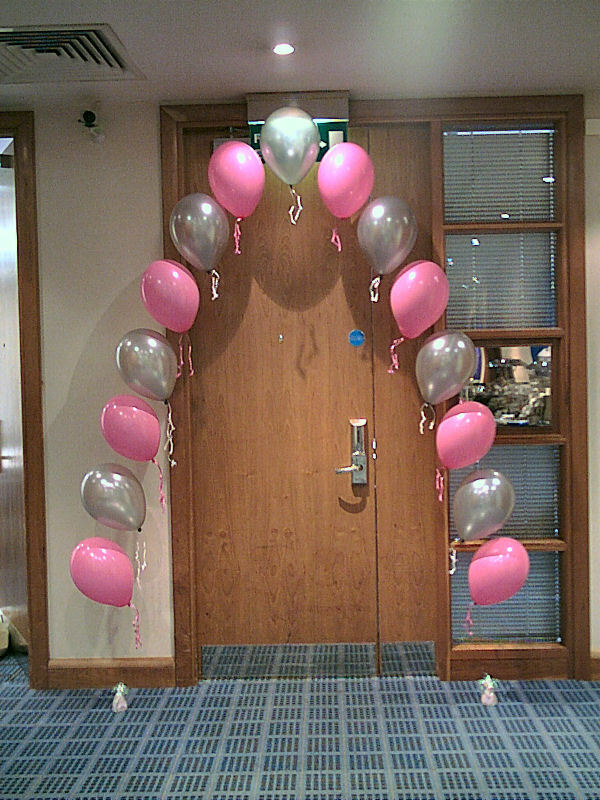 Spiral Columns From £40.00 A spiral of balloons built up to create a column, ideal to stand either side of a doorway.